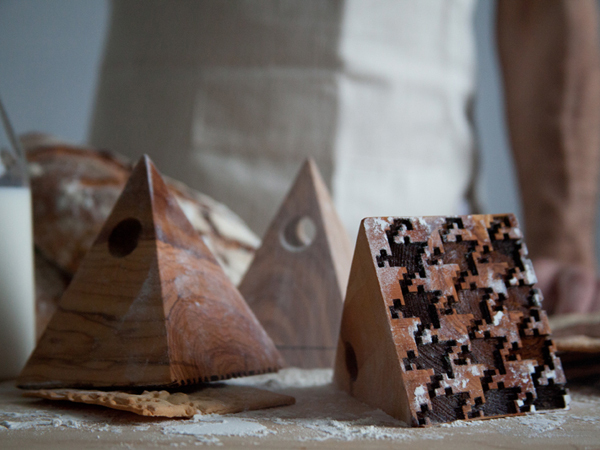 Studio Lav has created a pair of bread stamps that allow bakers to pattern the surfaces of their creations. 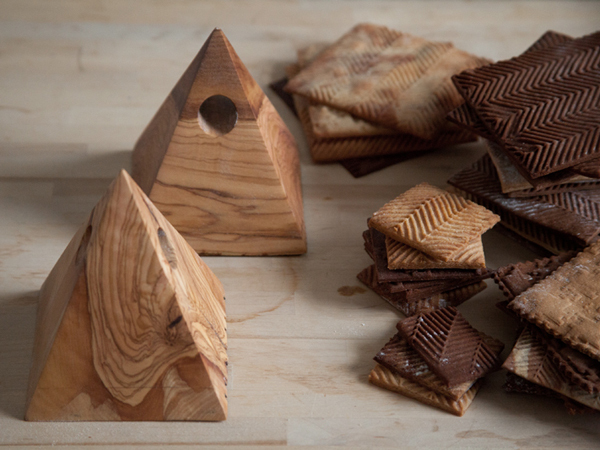 The pyramid-shaped wooden blocks are carved with classic Pied de Poule and Tweed Herringbone patterns, and are designed for use on cookies, biscuits and small breads. 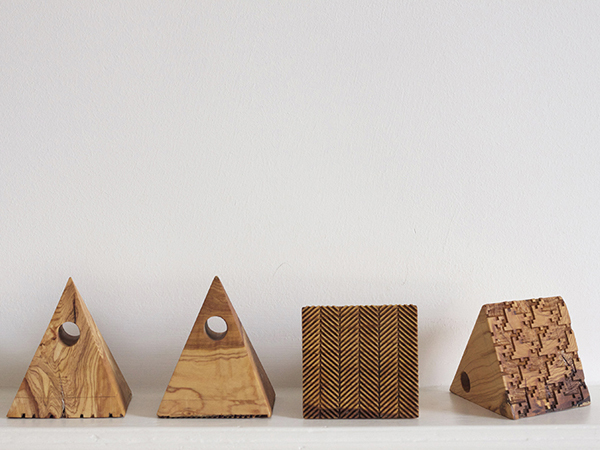 The project was designed for Athens' Skoufa Gallery, which asked a series of designers to work from the theme of "folklore", using olive wood as their raw material. 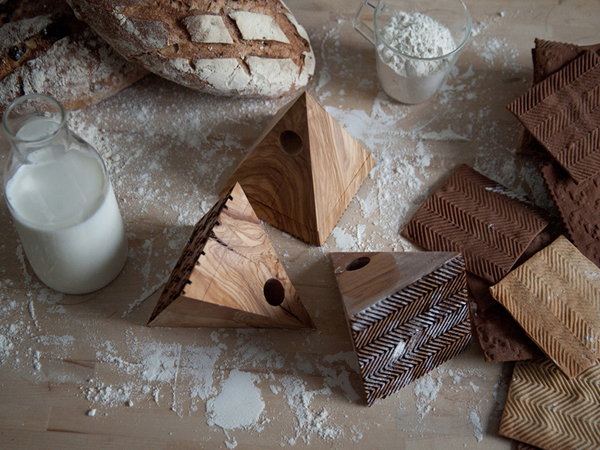 Subscribers can see more food design here.